Let’s face it, local SEO’s and business owners have given up on content and settled for SEO. Now, I’m not saying that SEO is bad or that no local business can write. But what I am saying is that the industry has prioritized the SEO/ranking value of content over the audience value of our content. The moment SEO becomes more important than our audience, we have a marketing problem. Would I actually read this whole post? If you can’t read the whole article there’s no chance your audience will. Would I send a new potential customer a link to my blog? If not, then potential customers visiting your website probably shouldn’t see it either. Do my blog posts receive engagement: comments or shares? I’m not talking about fake Gucci handbag comments, but instead, real comments or Facebook shares. While this is a tough standard, if we don’t have something to aim for what is the point? As a local business or a marketer working with local SMB’s, the goal for content should be to engage with your audience. Often times, the easiest way to do this is to be local. If your audience is local and you want to gain content traction, be local. If an article was written, but no one reads it was it really written? Frankly, we often mistakenly think search engines will find our content and then our audience will. This is backwards thinking. Instead, we need to identify the interests of our local audience, craft an exceptional piece of content, and promote the heck out of it. What makes the city or county you do business in unique? What local things or attractions exist that someone from out of town wouldn’t know about? Tweet this: The goal isn’t to be everybody’s cup of tea, the goal is to be your local audience’s. Take a tour of the neighborhood and ask yourself, what does my audience care about? What would they share? The content goal for a local business should be for your business to be the first thing people in your area associate with the service or product you provide. Think of content as an awareness factor. What is the best way to make my local audience aware of my service or product? The answer: relevance. We have found that with simply $20 you can promote your content to your local audience and drive hundreds of relevant visits to your website for less than $0.50 cents a click. Outside of relevant, localized content, there are few avenues to drive such traffic. Tweet this: Set Up remarketing to market to the new audience you are attracting. We have taken a tour of the neighborhood and now have a pretty good idea of what makes our area unique. Next, we must decide how often to write and on what. If we are going to add a little local flavor to our blog it’s important to understand what makes our audience tick. We often simply just write about what we do, but that is rarely the best way to engage with your audience. The other option we often take is writing for thought leadership. While also fine, most local businesses will not increase sales by writing a post on how they have created a revolutionary new way to repair your fridge. The core reason why these two approaches and many others fail, is because they are not relevant to your audience and cannot be easily promoted via interest targeting. A general rule of thumb is that quantity is not as important as quality. Do not try to produce more content than you can produce well. We want to impact our audience and thus influence our local rankings…not the other way around. When selecting a topic to write on, back your way into it. 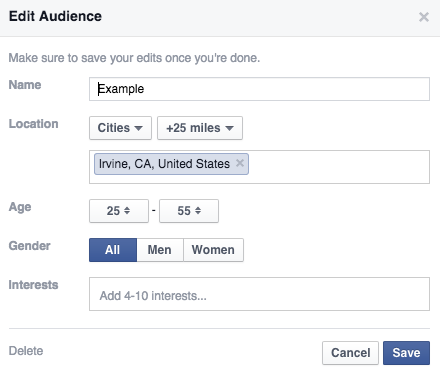 Our favorite tool for content promotion and amplification is Facebook ads. So often, we choose our topics based on what interests us instead of what interests our audience. Let’s choose what to write based on who and what we can target. So, before your write that next post head over to the “boost post” option from a previous post, and look at your audience options. Ask yourself, what targeting options are available and how can I make sure that my topic fits with my targeting? Once you have chosen your topic, finding a title worthy of promotion of tough. Luckily, the team over at Portent have created an awesome tool to help you with choosing that next title. Check it out! Instead, they care, share, and read about content that is relevant to them. Do you think they will call the plumber who made them laugh or wrote something engaging about their area? Or do you think they will call the plumber who they never heard of because their content wasn’t relevant enough to earn a click? Be ruthless. 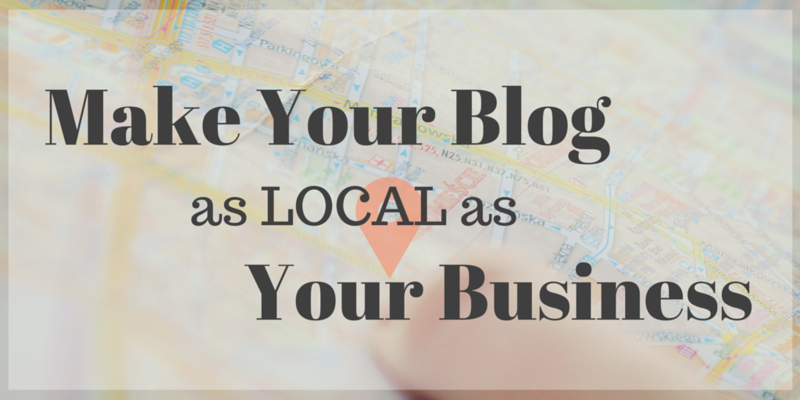 Make your blog as local and relevant to your audience as possible. If a piece of content cannot be promoted to your local audience don’t write it. If you can’t think of five of your customers that would read it all the way through or share it, don’t write it. Take a stand for the power of exceptional local content and make your blog as local as your business.